Even now, very few people recognize what actually took place in the great collapse of 2008. The media and so-called experts have provided a steady narrative regarding how it was a natural implosion from the Housing Bubble or other factors. Few want to review the actual data that clearly shows our system under attack. We identified the key weapons in the book “Secret Weapon: How Economic Terrorism Brought Down the U.S. Stock Market and Why It Can Happen Again.” Among the most significant weapons was naked short selling. Sadly, this continues today. Short selling is a form of speculation that allows a trader to take a “negative position” in a stock of a company. Such a trader first “borrows” shares of that stock from their owner (the lender), typically via a bank or a prime broker under the condition that he will return it on demand. Next, the trader sells the borrowed shares and delivers them to the buyer who becomes their new owner. The buyer is typically unaware that the shares have been sold short: his transaction with the trader proceeds just as if the trader owned rather than borrowed the shares. Some time later, the trader closes his short position by purchasing the same number of shares in the market and returning them to the lender. The trader’s profit is the difference between the sale price and the purchase price of the shares. In contrast to “going long” where sale succeeds the purchase, short sale precedes the purchase. Because the seller/borrower is generally required to make a cash deposit equivalent to the sale proceeds, it offers the lender some security. Naked short selling, or naked shorting, is the practice of short-selling a tradable asset of any kind without first borrowing the security or ensuring that the security can be borrowed, as is conventionally done in a short sale. When the seller does not obtain the shares within the required time frame, the result is known as a “failure to deliver”. The transaction generally remains open until the shares are acquired by the seller, or the seller’s broker settles the trade. Short selling is used to anticipate a price fall, but exposes the seller to the risk of a price rise. In 2008, the SEC banned what it called “abusive naked short selling” in the United States, as well as some other jurisdictions, as a method of driving down share prices. Failing to deliver shares is legal under certain circumstances, and naked short selling is not per se illegal. In the United States, naked short selling is covered by various SEC regulations which prohibit the practice. The Madoff exemption, for example, allowed market makers to naked short sell, presumably to facilitate liquidity. Unfortunately, due to naked sponsored access rules (pages 153-155 of Secret Weapon), this also meant that almost anyone could get an exemption at will. Madoff also obtained an exemption allowing market makers to sell short on a down-tick. The SEC was so grateful for his help in this regard that the commission named the new rule the “Madoff Exemption.” This was before Mr. Madoff became famous for orchestrating a $50 billion Ponzi scheme with help from the Mafia (CNBC’s Charles Gasparino has reported that Madoff might be tied to the Russian Mafia; whistleblower Harry Markopolis stated in Congressional hearings that Madoff appeared to have ties to the Russian Mafia and Latin American drug gangs; and Deep Capture’s own investigations suggest that Madoff did business with multiple people with ties to both Russian and Italian organized crime). The options market maker exemption permitted market makers (e.g. Madoff) to sell stock that they did not possess, so long as they were doing so temporarily to “maintain liquidity.” Abusing that exemption in order to facilitate naked short selling in cahoots with hedge funds looking to drive down stock prices was blatantly illegal, but the SEC looked the other way, even as market makers failed to deliver shares for weeks, months, and even years at a time. 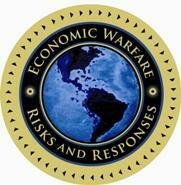 A report on the risks of economic warfare by Cross Consulting—which was written in 2009 for the Pentagon’s Irregular Warfare Support Programme (IWSP) but which surfaced only in 2011—cites a paper prepared for law-enforcement officials by a group of anonymous moneymen who were alarmed by trading patterns around the time that Lehman Brothers failed. The paper analyses trading data from American exchanges. It shows that a handful of small and midsized regional brokers saw their market share in equities trading skyrocket in 2008 to the point where some were, for a while, doing more business than giants such as Goldman Sachs and JPMorgan Chase. The brokers’ business was conducted under multiple trading symbols, the market-making identities used in electronic trading so that counterparties know whom they are dealing with. The bulk of the trading appears to have been “sponsored access” agreements, under which established brokers can in effect rent their identities to other traders so that the latter do not have to jump through the usual regulatory hoops. There is no suggestion that the brokers in question were doing anything wrong. They say they were doing business with regulated entities, including other brokers, but the report raises questions about the trades these sponsored entities were conducting. These trades were heavily concentrated in big, troubled stocks such as Citigroup and Wachovia, the survival of which was seen as critical to the stability of the financial system. They were mostly short-selling, the paper concludes, and a good deal of the shorting may have been of the illegal “naked” kind, where the short-seller does not bother to locate and borrow the shares first. (Borrowing a broker’s identity could have made this easier, since marketmakers were exempt from the ban on naked shorting in certain circumstances.) Supporting this conclusion is a huge spike in trades that failed to settle at the time—in Lehman’s case, the number shot from tens of thousands to tens of millions. One cause of “fails” is naked shorting, because you cannot deliver a share that you have not really borrowed . . .
Mary Schapiro, the SEC’s chairman, had previously likened (sponsored access) to handing car keys to an unlicensed driver. In private, SEC staffers worry that some of the driving might be deliberately dangerous. Feb. 3, 2012 6:46 A.M. … It was perfectly proper to short [my clients] securities or purchase those positions back from those clients or others with any profit or loss recorded on my books. … The point is that this was my practice prior to the time that I fell into my crime of ­staying Naked Short. The fact that the prosecutor and Trustee seemed clueless of this is why my frustration is so great. Read this carefully. Madoff admits that he began with legal short selling but ultimately winded up “staying Naked Short.” And, he knew it was a crime. And, he is frustrated that no one seems to understand how significant this was. Staying naked short essentially means that he was selling counterfeit shares.. No one was stopping him. No one was stopping other market makers. No one was stopping other market makers from letting third parties do the same thing using Sponsored Access. The implications are staggering. Someone needs to connect the dots! The bear raids on the banks and brokers were NOT a case of piling on by US based hedge funds. And from what he was seeing and hearing about in terms of order flow, the vast majority of the financial short selling the past week or so were being done overseas. It appears that the lion’s share of shorting was coming out of overseas bourses such as London and Dubai.It may not be a coincidence that the financial short selling ban is both here and in London. Then there is another coincidence: The huge increase in shorting of the financials occurred on the anniversary of 9/11. And on top of that, the same institutions attacked on 9/11/01 were the ones suffering in recent days. Joe asked the question: Is anyone investigating whether this is a case of financial terrorism? He wanted to know if someone was at least looking into this question (Joe is buds with Jim Cramer, and mentioned it to him, who then omitted to cite in his column that this was Joe’s theory, not his own). The grand irony of all this is that Naked Shorting has been very profitable for the big broker dealers, like Morgan And Goldman and Merrill and Lehman. They have looked the other way for years, and the SEC has been AWOL on this issue. Short sales require a locate (shares to borrow) and then a subsequent delivery. It should take less than 3 days to deliver the borrowed shares, but instead, delivery is often delayed indefinitely. Failure to deliver leads to a margin charge, which can be as high as 9-15%. If you want to know who to blame for the past 5 years of naked shorting, you only have two places to look: The Financial brokers themselves, and the nonfeasance of a feckless SEC. Did the bear raids have an effect? When combined with Credit Default Swap manipulation (another Secret Weapon), George Soros seems to think so (https://globaleconomicwarfare.com/2011/01/what-caused-the-2008-market-collapse/). Our belief is that naked short selling is criminal activity that has gone on for many years. Terrorists learned about it, and, with the Madoff exemption and Sponsored Access were able to transform criminal activity into a Secret Weapon capable of destabilizing the Western financial system. Unfortunately, Wall Street has found these illegal practices to be highly lucrative (https://globaleconomicwarfare.com/2012/03/puzzle-pieces-falling-into-place/). And the SEC has ignored the problem for too long (http://www.sec-oig.gov/Reports/AuditsInspections/2009/450.pdf). Now, it seems even Bernie Madoff is frustrated.